By Marc Hors and Indira Urrutia. 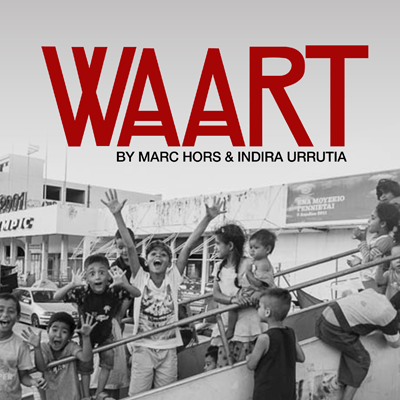 WAART is a project that facilitates the arts as a platform for communication, cultural exchange and integration. Marc Hors, documentary photographer and activist from Barcelona, Spain; Indira Urrutia, artist, teacher, and activist from La Calera, Chile, have traveled to Greece on several occasions since 2015, where they participated and documented the chaotic situation of the greatest humanitarian crisis of the 21st century, the refugee crisis from the middle east. Through the photography and videography, they will share the complex situation faced by thousands of refugees from the Middle East who are confined between the European borders. A chaotic situation that found in the arts, a way to relive their pain, bring voice to their dreams and facilitate the integration into a new society. As the refugee crisis is a fact in the present in need of constant actions, it’s another fact that we need to expand our social activism network. In collaboration with Hassan El-Masri and Miguel A. Astudillo, we like to introduce you to an ongoing project “Lyrics of Sada” a project that connects refugee musicians in Athens, Greece, to collaborate with musicians in the Bay Area. The creative journey and cultural exchange have been documented as they compose original music led by voices of refugees and supported by local Bay Area talent to compile a documentary telling story of migration, displacement and the pursuit of dreams.